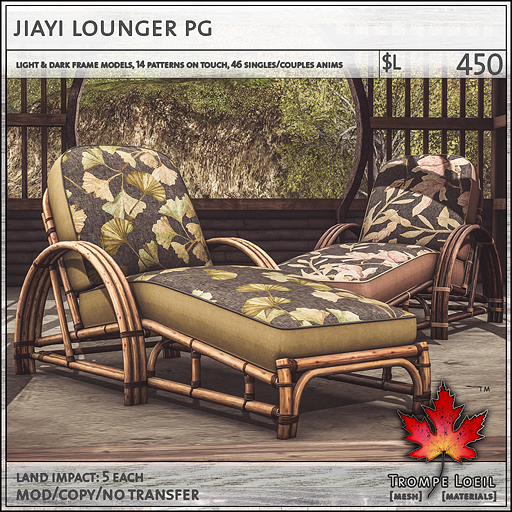 This product is now available at the Trompe Loeil Mainstore. 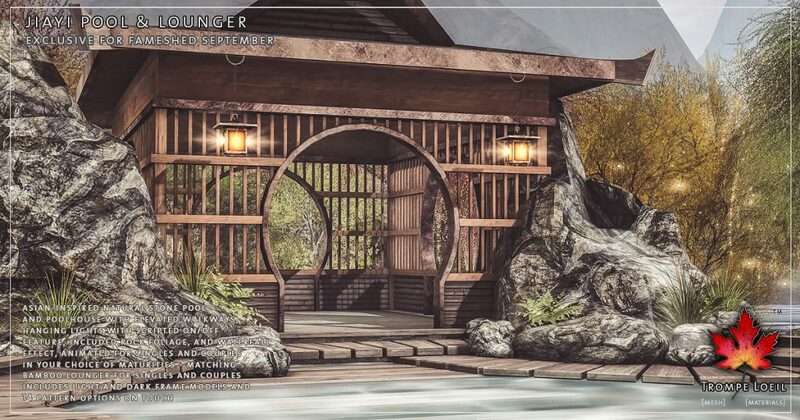 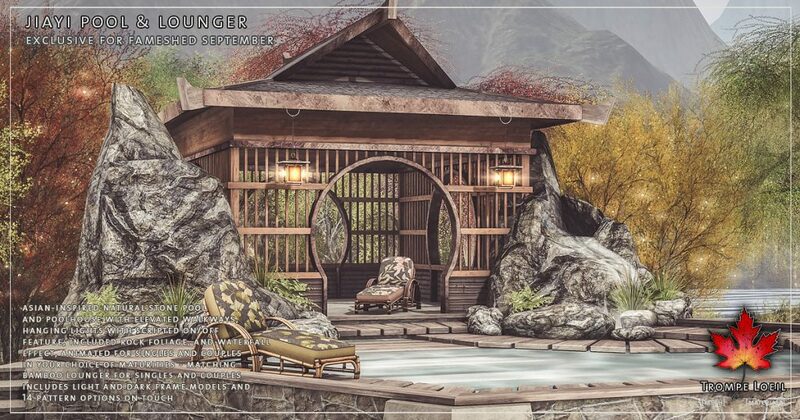 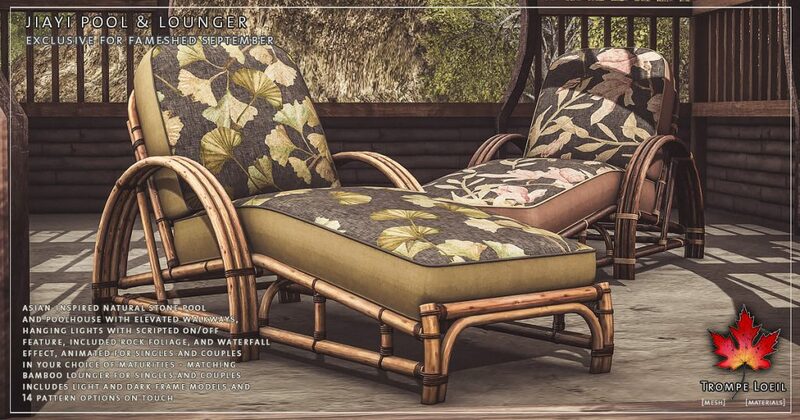 The leaves change faster in the cool winds of the mountaintop – take advantage with a luxurious retreat for body and soul, with our new Jiayi Pool and matching Lounger for FaMESHed September! 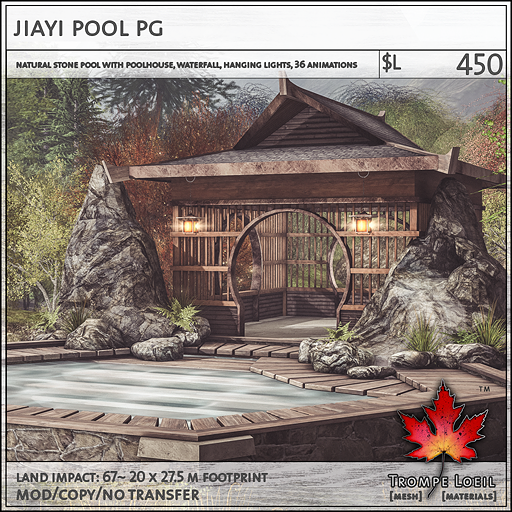 The Jiayi Pool is a natural stone pool with driftwood walkway, dual staircases, built-in rock formations including gentle waterfall effect, foliage, and attached themed poolhouse with hanging lanterns with on/off lighting feature. 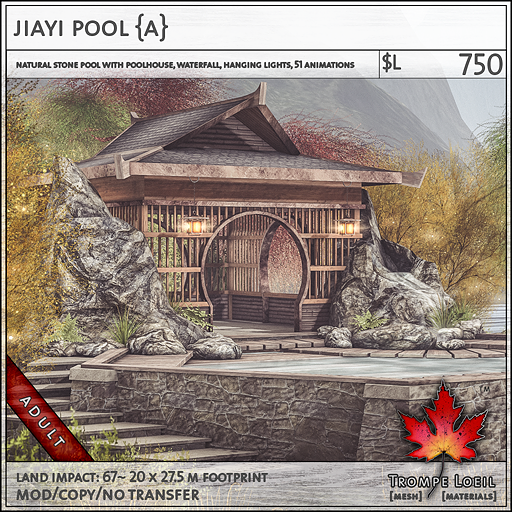 The pool is scripted for singles and couples in your choice of maturities! 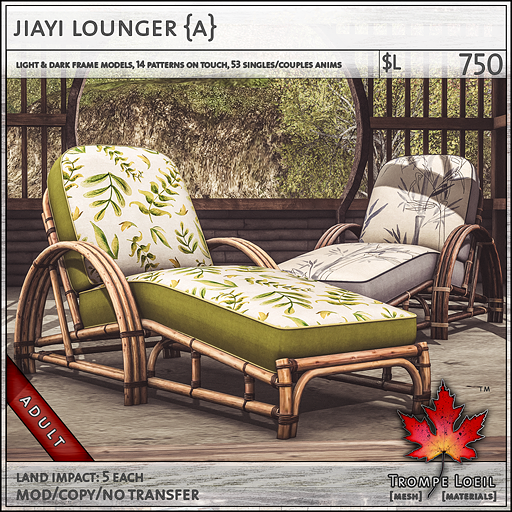 Plus, the matching Jiayi Lounger features stylized bamboo framing in both light and dark models, 14 pattern options on touch menu, and scripted for singles and couples in your choice of maturities. 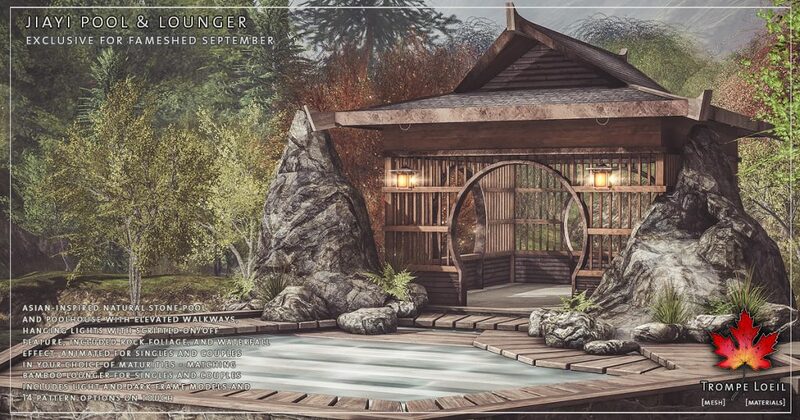 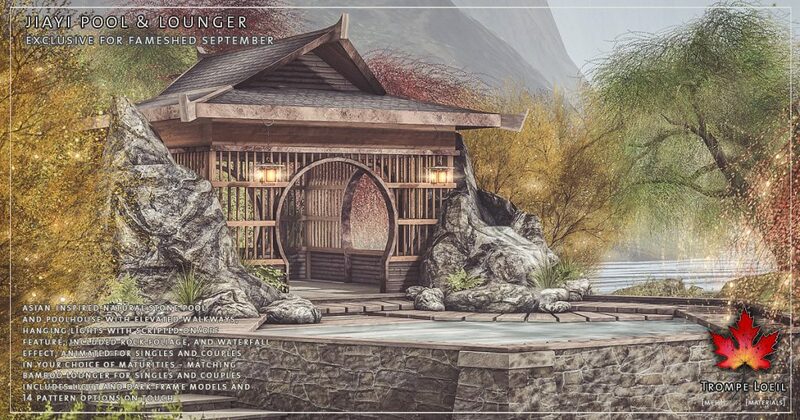 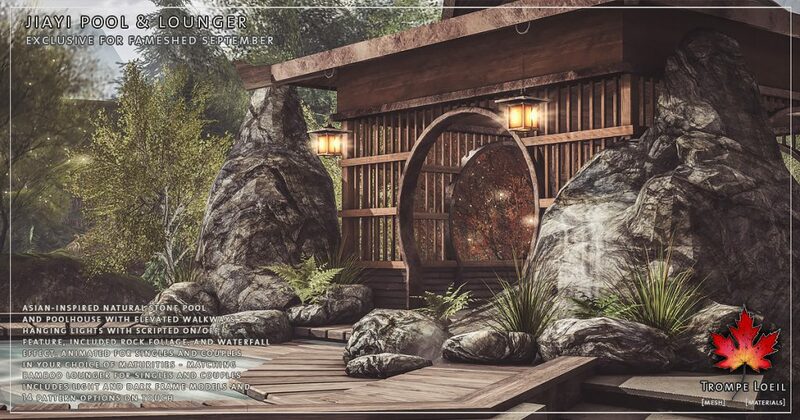 Your autumn escape awaits at FaMESHed’s September round!